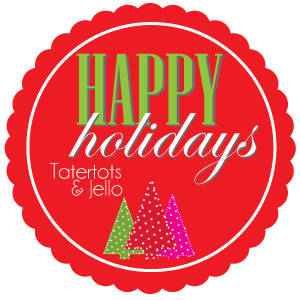 Hi Tatertots & Jello friends!! My name is Stacy and you can usually find me blogging and crafting at She’s Kinda Crafty, but I am super excited to be sharing a fun DIY ornament with you here today! It’s sort of a blogging dream come true for me, so on with the show!! I am loving all the creativity I’ve seen lately turning clear ornaments into little works of art so I wanted to make several for our tree that’s going up any day now!! 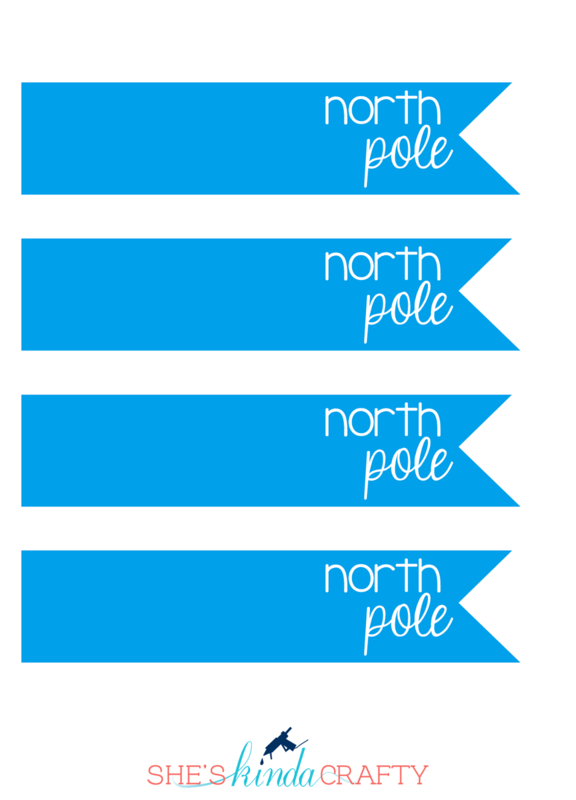 After finding these mini snowmen ornaments I just knew that they needed a home at the North pole, so I made them one. 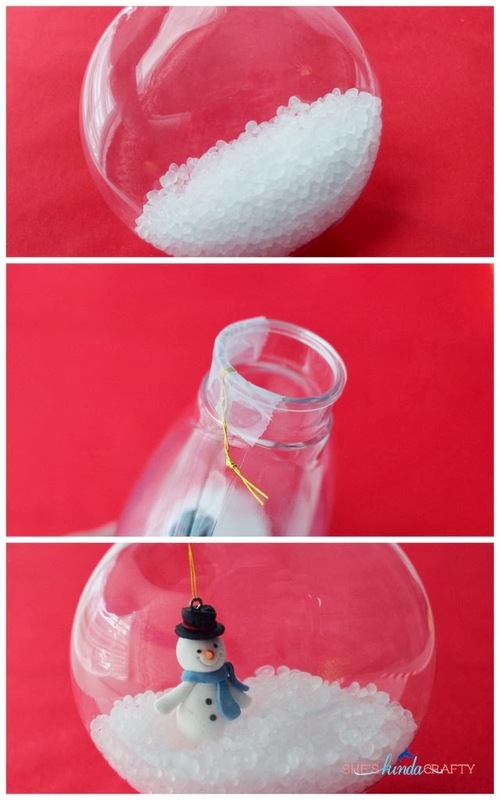 Squeeze your snowman into the ornament but don’t let go of the string/fishing line!! These cute ornaments are so easy and quick to make you can easily make an entire family of snow-people for your tree or to give to others. Thank you so much for having me Jen!! Happy Holidays to everybody! 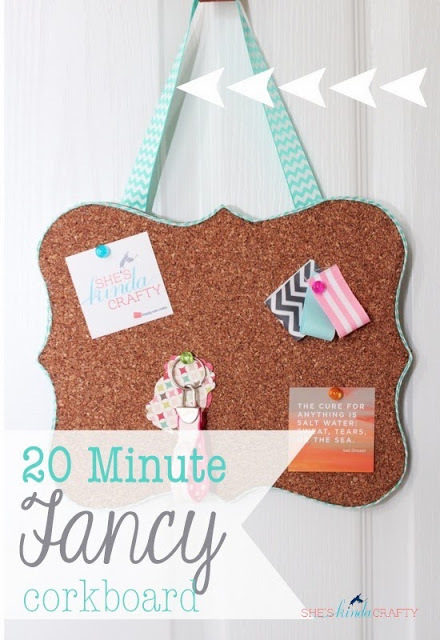 This 20 Minute Fancy Corkboard is such a fun idea for a teen/tween in your life! But, they would really make a good gift for anyone! Stacy makes beautiful wreaths!! 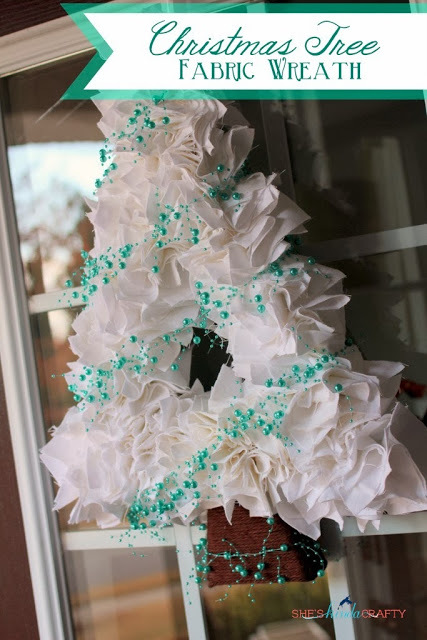 This Christmas Tree Fabric Wreath is no exception. I love the whimsical look for your front door, or anywhere in your home! And, this idea is so adorable! Give someone the gift of all the trimmings to decorate a mini tree!! 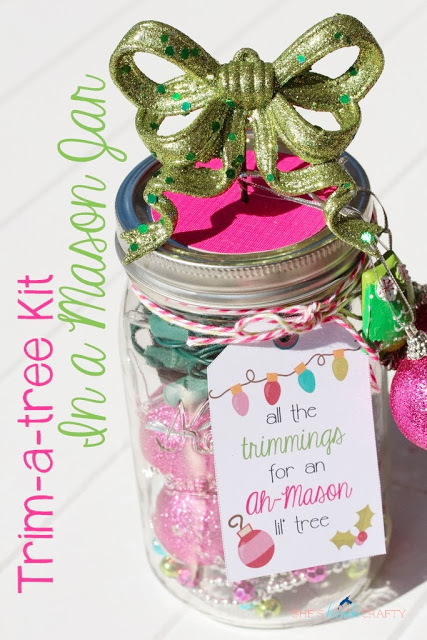 This Trim-A-Tree-Kit In a Mason Jar comes with a super cute free printable too! Were you able to find all your supplies at Walmart? Cute! Where did you get your snowman? Can you tell me where you purchased the snowman? Can I ask where you found the adobable little snowmen??? This is such a cute idea, my kiddos would love it! The straw is genius! This is the cutest ornament ever. Thanks for having me Jen & team!! I am so honored to take part in the Happy Holidays series! Thanks for having me and have a Happy Thanksgiving!! This is so adorable Jen- I must be on the lookout for those materials. Pinning! Where did you find the clear ornaments? Hi Meagan, I actually got these at Walmart for $0.88 each!! In the regular ornament section! This is adorable! Very creative. You have inspired me, now let the crafting begin. Debbie recently posted…Thanksgiving Fun, Freebies And More! The ornament is a really great. Does the Poly-Fill stay in place or is it sort of loose inside the ornnament? It is heavy enough to pretty much stay in place but it is loose inside.